"I can't wait to get started and engage with our customers to further develop partnerships and pioneer advancements to improve patient care," said Francis, speaking for the first time at the Olympus head office in Southend. 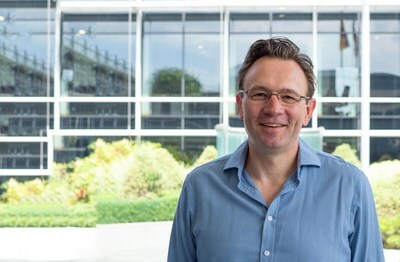 "Francis' passion and enthusiasm for the patient; experience of cutting edge medical technology; and drive for high performance will be a great asset to Olympus, as we continue to develop partnerships with our growing customer base," enthused Constantin Zangemeister, Regional Managing Director of the UK and Ireland. As a worldwide leading manufacturer of optical and digital precision technology, Olympus provides innovative solutions for state-of-the-art medical systems, digital cameras as well as scientific solutions in the fields of microscopy and industrial inspection. The company's award winning products are instrumental in detecting, preventing and treating various diseases, driving scientific research and documenting life with artistic freedom. In the hands of its customers, Olympus' high-tech products help to make people's lives healthier, safer and more fulfilling.